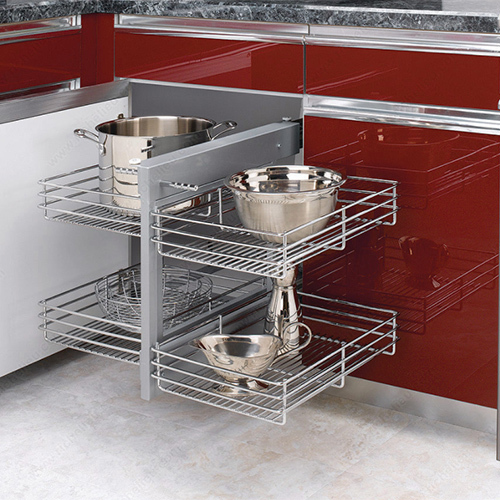 This blind corner space optimizer has been designed to get the most out of your corner cabinet. Includes four chrome baskets to store your kitchen accessories. Easy assembly with left- or right-handed installation. Stylish design with chrome accents. Heavy-duty materials and ball-bearing slides for smooth, reliable operation.